This bag was made 4 years ago, when I spent a few month in Russia and did not really have anything to do. 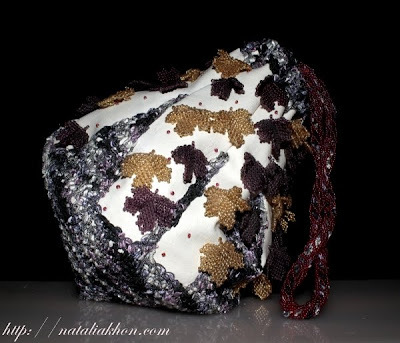 Christmas was coming and the shape for this handbag was inspired by the Christmas tree decorations. I had a personal exhibition at the Port Moody Art Centre in 2009 and that was the only event where I took this handbag to.